To many people, gaming is just something that kids do on their gaming console, phone, or computer in their leisure time. Indeed, to many people over 50, mention computer gaming and they still think of the original Space Invaders. If Baby Boomers come across the term “eSports,” they probably think you've made a typo. Yet eSports is real, and it is enormous. I wrote about it previously in The Rise of eSports’ Influence on Brands. I discovered that according to Statista, eSports generated $US696 million revenue in 2017 and enjoyed a worldwide audience of $385 million. Newzoo reports that the global eSports economy is expected to reach $905.6 million in 2018 with brand investment growing by 48%. One game alone this year has caused panic amongst unsuspecting parents, resulting in multiple “doom and gloom”-type media articles. The incredibly popular Fortnite may not be violent or sexually explicit, but it sure has captured the imagination of gamers worldwide. There have been many claims that a Fortnite addiction is ruining the lives of children. In many ways, the debate over Fortnite’s addictive capacity is an excellent example of the Streisand Effect – the publicity has made the game even more popular. In the meantime, gamers have continued playing the games they love, often in competitive eSports tournaments. Inevitably, marketing agencies have discovered the success of the industry. Some traditional agencies have made a point of pitching to brands targeting the gaming industry. 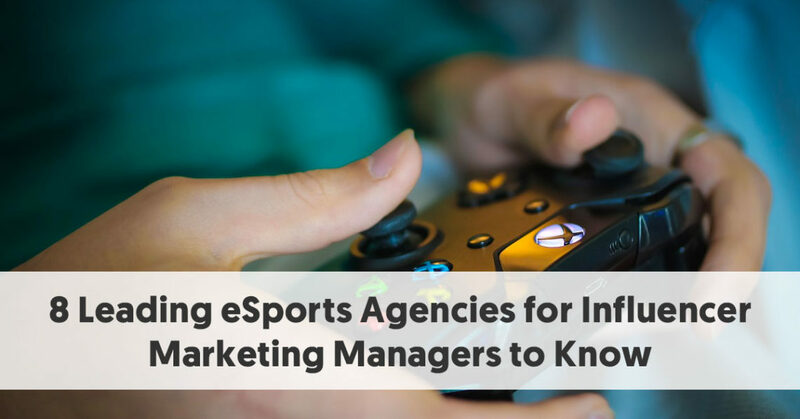 In other cases, marketers who already understand gaming have set up specialist gaming and eSports agencies. Here are eight agencies that make a point of introducing brands to eSports players and helping to create an accessible path for those wishing to engage in influencer marketing. Upfluence is a full-service influencer marketing agency, covering virtually every niche, sector, and social network. And this includes gaming and eSports, with a particular emphasis on helping you work with influencers on Twitch. Upfluence is up with the state of play. They know that the stereotype of gamers being pimply teenagers is far from the truth. Indeed 46% of Twitch’s audience is female, and the audience skews somewhat older that non-gamers realize, too. eSports fans and gamers are generally wealthier than the average American, with average revenue of $U58K per annum. Brands can use the Upfluence Search™ software to find their ideal eSports player/influencer. You can use more than 20 filters to discover the best broadcasting gamers who have audiences that match your target market. Upfluence provides you with detailed information about potential influencers, including how their posts typically perform and they type of content they usually publish. Once you have selected your preferred eSports influencers, you can work with Upfluence to make contact. If you and your influencers agree on terms, you can use Upfluence to keep track of their efforts. You can even pay them through Upfluence, without having to worry about the nuts and bolts of influencer arrangements yourself. You might have loftier ambitions than just working with a few eSports influencers, however. Upfluence can help you, no matter your aims. They can even assist you to sponsor an eSports team or make your name visible during an eSports tournament. The Upfluence software provides you access to all the information you need to know. You can see detailed reports on the success of your influencer campaigns. You can even pay your influencers and keep track of their results from within the app. Viral Nation is a full-service agency that caters for both sides fo the influencer marketing equation. Not only does Viral Nation provide influencer marketing services to businesses, but it also acts as an influencer talent agency. The talent agency actively seeks our talented Twitch influencers. Viral Nation provides influencer services across the full range of social networks, including Twitch, for those interested in influencer marketing to the gaming community. Viral Nation’s massive talent database includes over 20 million accounts. Brands will be able to find influencers relating to any type of gaming audience, - not just the ubiquitous Fortnite streamer. Viral Nation has a fresh, young team. Their founders, Mathew Micheli and Joe Gagliese, were named to the Top 30 Under 30 of 2016. The agency showcases a campaign it ran in partnership with Tencent Games for the world-renowned battle-royale mobile game, PUBG (Player Unknown's Battlegrounds) MOBILE. Tencent Games is Chinese, and their Marketing Director found Viral Nations’s efforts to connect their product with the gamers of America invaluable. The campaign had three objectives - to drive awareness, game installs, and social platform growth. Ader is a specialist eSports marketing agency that connects brands and publishers with the global gaming community. It runs campaigns for clients, provides “experiences,” sets up team sponsorships and helps establish influencer activations. They have a clear understanding of the importance of Twitch to gaming, and how brands can use influencers to help build awareness of their products. They claim to have a deep understanding of how brands can authentically engage with gamers across eSports, mobile, gaming, and social media platforms. They don’t limit their services to Twitch, however. They realize that gamers also spend time on YouTube and work with brands and influencers to create stream highlights, dedicated videos, integrated videos and custom content. Ader lists its specialties as being influencer marketing, advertising, marketing, creative content, eSports, gaming, and production. They connect gamers with brands in a variety of tournaments and live events. These include conventions and booth activities, community development, Shine tournaments and charity events. Ader works to connect brands with eSports teams, setting up multiple types of team sponsorships. These include merchandise branding, custom team content, commercials, product testing and streaming placements, and establishing brand ambassadors. Flood Interactive recognizes the importance of eSports. They know that there are professional players and teams. Competitions take place all over the world with prize pools comparable to or larger than those of "traditional" sports. Flood Interactive works with eSports influencers on Twitch, Twitter, and YouTube. 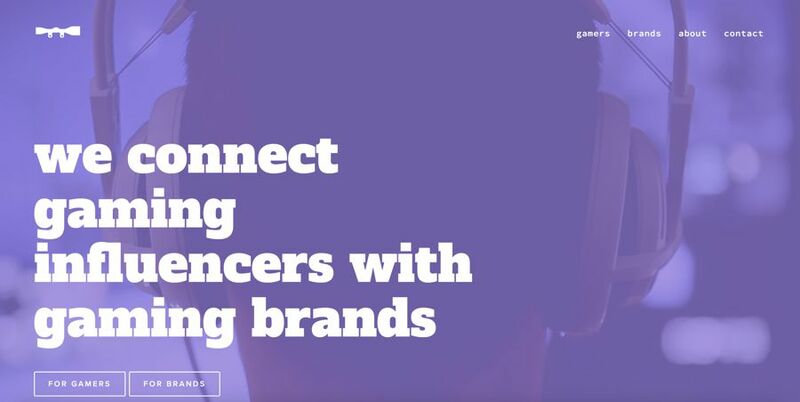 They connect influencers with high-quality sponsors, negotiate agreements, and help influencers design custom programming to keep sponsors happy. They manage influencers’ ongoing relationships with sponsors to ensure they are getting what they need regarding program design, progress updates, and performance metrics. They find the talent with the best fit for a brand and manage the relationship to make sure the brand gets the maximum value for their advertising and sponsorship dollars. Flood Interactive’s experts provide coaching and technical assistance to influencers on tailoring their stream, image, and social media assets to generate maximum appeal for their viewers and sponsors. They arrange personal appearances at eSports events (e.g., tournament hosting or casting), media events (e.g., interviews) and corporate events (e.g., onsite streaming, tours, speaking engagements) to increase exposure. Flood Interactive’s team will create custom campaigns tailored to fit a brand’s needs. Campaigns are designed based on a preferred demographic, budget and length. Knowscope describes itself as being for gamers, by gamers. They are driven to help gamers make a living doing what they love day in and day out. They work with brands who want exposure in the gaming community. Knowscope sees influencer marketing as a three-stage process for brands. A potential client begins by describing their brand, project, budget, and goals with Knowscope who will then work with their community of gamers and content creators to find a good fit for the brand’s needs. Once they find a good fit between a brand and gamers in their community, Knowscope will connect both parties to get a project started and plan out the next tangible steps. At this point, their community of gamers will promote the brand and products to their audience getting what Knowscope believes to be the highest impact advertising available today in the gaming community. Knowscope’s content creators have a range of project types. These include Twitch & YouTube channel sponsorship, game playthroughs, product reviews, shout-outs (like infomercials), product giveaways, or even merely having a gamer use a brand’s products on his channel. German-based Game Influencer runs influencer marketing campaigns for PC, console and mobile games by connecting gaming publishers and influencers to produce creative content that will boost a particular game. They claim to have more than 3 million influencers in their network, with more than 50 million views generated across all of their campaigns. This has resulted in more than 725,000 installs driven through their campaigns. 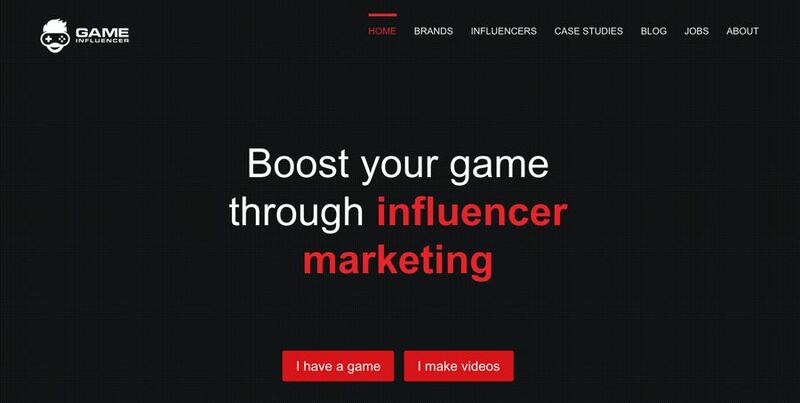 Game Influencer connects games with influencers to create brand awareness, drive app installs and boost app store rankings. They operate globally with national and international influencers in Europe, North America, South America, Asia, Oceania and the MENA region. They prefer performance-based campaigns. All campaigns run on a CPM basis. They track all relevant performance indicators: video views, app installs, and conversion rates. Influencers get paid based on video views, app installs or a fixed fee structure on a monthly basis. The Game Influencer dashboard, allows influencers to track how their sponsored videos are performing and how much money they have earned. Similarly, Game Influencer provides a detailed report to each client about how their campaign performed. CheeseCake Digital is a dedicated eSports agency, helping brands to navigate the eSports landscape. They include major technology and gaming companies and have Intel, EA Sports, Microsoft, and Disney Interactive Studios amongst their clients. One area they highlight is the cross point between traditional sports and eSports. They have observed how traditional sports teams are making a move into eSports in a bid to convert eSports fans to sports fans and vice versa. Cheesecake Digital helps provide sports teams with the eSports market understanding, budgeting for eSports, and shows them how to create a winning (electronic) team and brand. Cheesecake Digital also works with the organizers of eSports tournaments to build fan engagement around the events. They help the event organizers differentiate themselves from the rest and show them how to utilize fan engagement platforms (with a particular emphasis on Heero. They give guidance to interested brands on how putting spend against activities is only worthwhile if the numbers add up. They help them understand the marketplace, where the opportunities are and how to effectively activate campaigns in this space. Once the groundwork has been done, they activate campaigns and manage them to completion. Foreseen Media is a specialist eSports agency who lives and breathes eSports. They have funded eSports clubs, worked with brands, have former professional players in their team, and come from the marketing and advertising world. They believe their most valued asset is their passion, the human value, and knowledge of the eSports industry. Although Spanish-based, with their head office in Madrid, they also have offices in Miami and Mexico. Their Marketing Director, Alberto Hernández-Linador, was a founder of a leading Spanish eSports club, eMonkeyz, and has also acted as a player-manager. Álvaro Luzón, Account manager & PR, is also a founder of eMonkeyz. Adrian Montalbo, their Event, and Talent Manager is a former player with a wide knowledge in eSports competitions in national and international leagues as well as in event production. 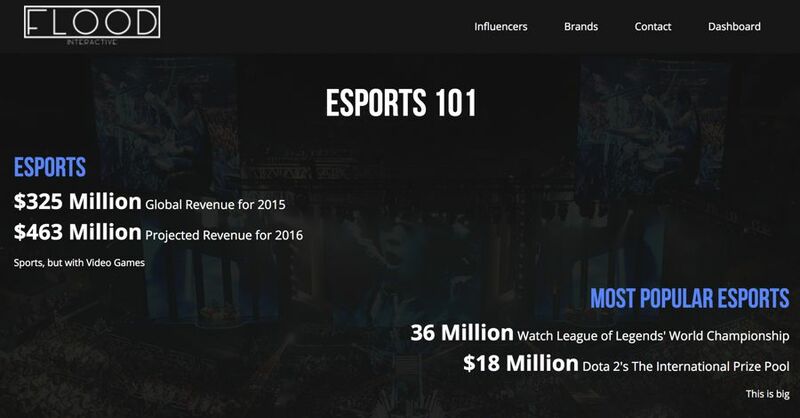 Foreseen Media believes eSports are a powerful tool to connect with brand users and followers in a not intrusive way. They offer both on and offline marketing, creativity, sponsorships, research, consultancy, funding and development of clubs, player representation, event promotion, and more.